This book has 24 full size hand drawn pages in a variety of styles and intricacy levels all celebrating friendship. From formal to casual, serious to funny, there’s bound to be something for everyone in your circle. In addition there are 24 craft size pages perfect for cards or to frame in a smaller frame. There are also nine coordinating bookmarks to dash a quick but thoughtful gift. 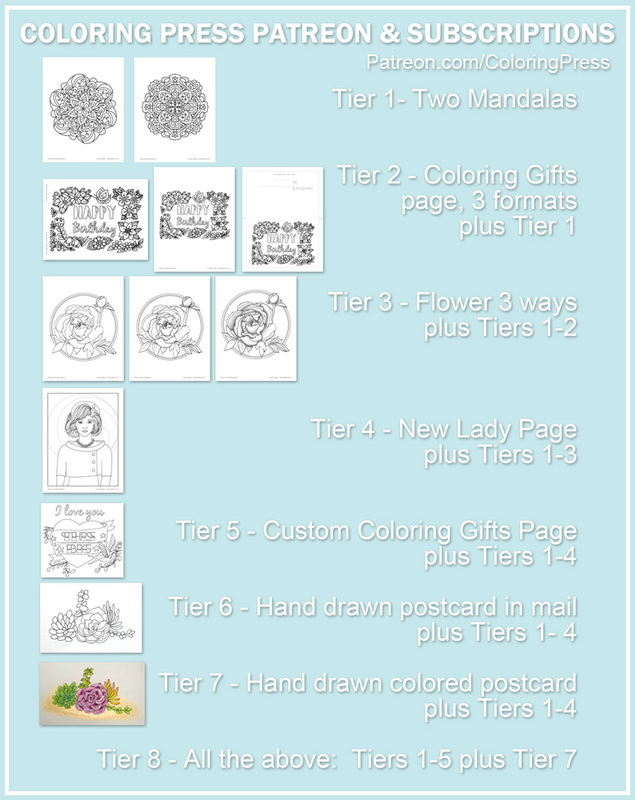 The book also includes instructions to help you add special touches to your coloring gifts. 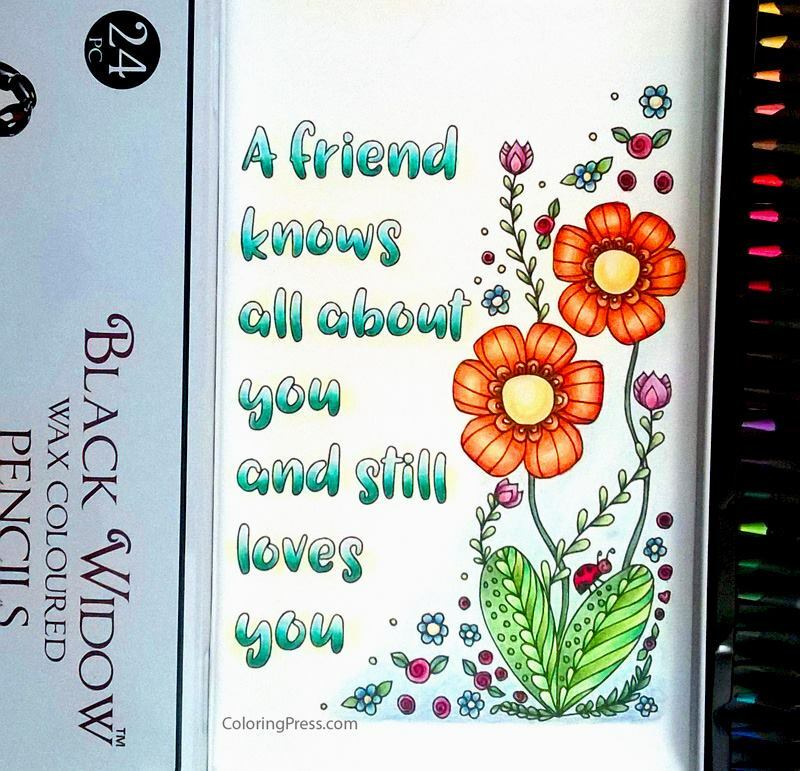 And for those who pray or meditate, there are scriptures to aid in prayer while you color for a friend, and also includes a heart meditation that can be done for a friend so you can reap the health benefits of coloring and friendship.